A chair worthy of admiration, the Premium Series VIP portable folding chair is the seat that spectators aspire to sit in. A fully upholstered, plush seat back and uplift contour foam seat with ultraflex elastic seat webbing make the Premium Series VIP seat is one of the most comfortable portable folding chairs in the industry. 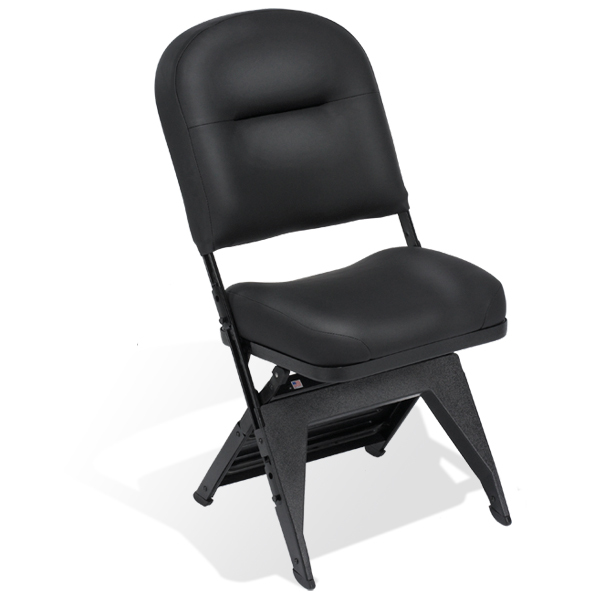 You’ll find the VIP folding chair courtside at most NBA facilities, as well as in theaters and other spaces that require the most luxurious portable seating. Clarin Premium Series VIP courtside and team bench folding chairs. Features: fully upholstered seat and back, contour uplift seat with ultraflex webbing for comfort, detachable combination cup holder and standard arms, front and back leg covers, embroidered logo. Clarin Premium VIP & Contour Series chairs make great courtside seating in the VIP section of the new Barclay Center. Rub elbows with Jay-Z and Beyonce while enjoying the game in style and comfort. Our Clarin VIP chairs are used for the team bench on one sideline and court side seating on the other. This is truly a gymnasium taking advantage of all of our seating products and knowledge. Clarin Premium Series VIP Cavaliers courtside and team bench folding chairs. Features: fully upholstered seat and back, contour uplift seat with ultraflex webbing for comfort, detachable combination cup holder and standard arms, front and back leg covers, embroidered logo. 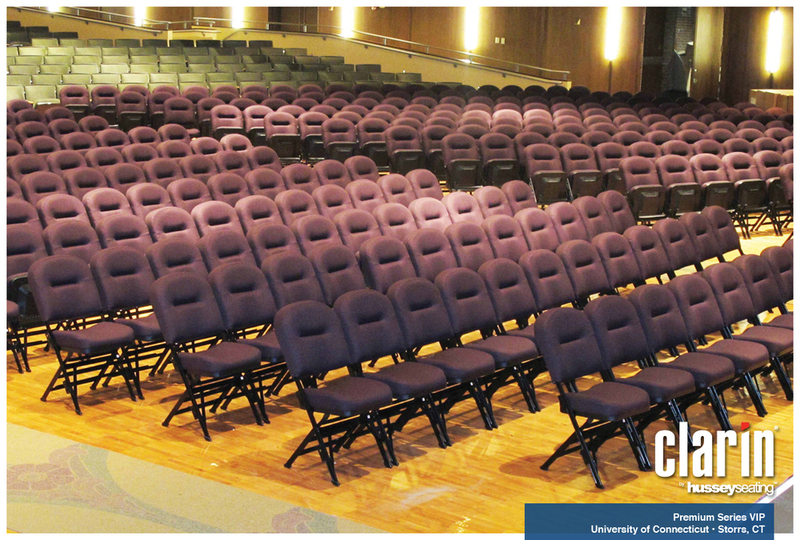 Clarin Premium Series VIP folding chairs. Features: fully upholstered seat and back, contour uplift seat with ultraflex webbing for comfort, front and back leg covers. Clarin Premium Series VIP courtside and team bench folding chairs. Features: fully upholstered seat and back, contour uplift seat with ultraflex webbing for comfort, detachable cup holder arms, front and back leg covers, embroidered logo. 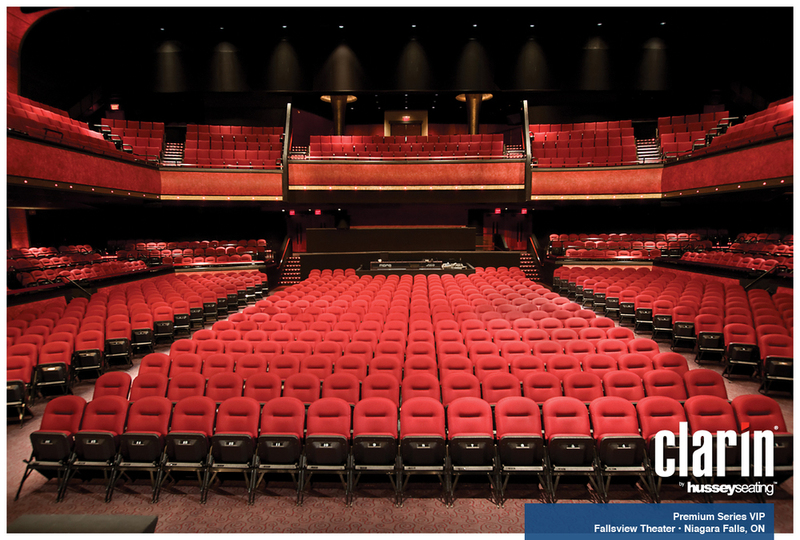 Clarin Premium Series VIP in the University of Connecticut's Jorgensen Center for the Performing Arts. Features: fabric upholstery, contour uplift seat with ultraflex seat webbing for comfort, interbracket ganging to keep chairs in a uniform position. Premium Series VIP used as courtside and team bench seating for the Chicago Bulls. Features: fully upholstered seat and back, contour uplift seat with ultraflex seat webbing for comfort, printed logo on back and double back, ganging to keep chairs in a uniform position.